Calmont Wire & Cable manufactures Mil Specifications for wire products subjected to extreme conditions, and can be used in high frequency and high temperature applications. 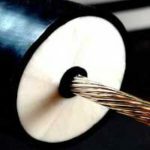 These applications include: shielding and protective covering, airframe wire, point to point wiring, antennas, bus-bar, ground wire, and bonding moving parts. If we aren’t certified for a particular UL style, Calmont can manufacture the cable “same as” the UL style number. We can also obtain new UL certifications for other styles at an additional charge. Click here for Calmont’s approvals for UL standards. 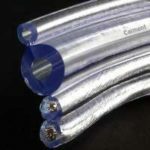 For some custom applications, such as ultraflexible wire and cable, Mil Specifications is a starting point. Calmont can design custom applications that meet Mil Spec requirements and adapt to the changes necessary to manufacture your product. We can manufacture many Mil Spec cables using Source Control Drawings (SCD). 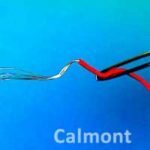 Calmont builds wire and cable using your SCD, or we can prepare one for you. We have the resources to manufacture many of the older Mil Specifications and designs as well. We can incorporate commercially available QPL subcomponents into a custom designed cable. This allows our customers to take advantage of readily-available, approved material, while addressing unique requirements for their application.